BMW thoroughly knows the taste of their customers when it comes to technology and luxury. This is the driving force for this German based car manufacturer to be a world class pioneer when it comes to its cars updated with superior technology integration. All of us admit that iPhone devices are so much a part of our lives and little had we known that these devices could gradually become a natural extension of your BMW car! This is however in existence now and the customers have all the reasons to rejoice in their new found iPhone apps within their car. Virtually every megabrand like GM, Ford, Rolls-Royce, Jaguar, BMW, Toyota, Hyundai and others is already on the mobile bandwagon to market their autos. The BMW fans can again raise their expectation bar to further heights with the app demonstrated at the International Auto Show 2012, New York. The intentions of the app developers at BMW's App Center Mountain View Technology office with this rollout of the Engine Manufacturer's app suite was to integrate the popular music sharing online community called MOG on the car's audio system along with Stitcher and ubiquitous Pandora. With a sole intent to amplify the usability of the phone applications and the already existing iPhone device features that have been a part of the previous apps, this app at the Auto show is launched to provide incomparable services with no complex enhancements that is achieved by evading the creation of totally new programs. What the driver in you can expect from the brand new BMW app suite? The app enables the drivers to listen to whatever they want at any instant of time. They could listen to a personalized radio frequency, individual songs or private albums or hear to some top notch narrative journalism from The New Yorker magazine or elsewhere! All this could happen as a multi tasking feature is prevalent with these set of apps that are freshly released. 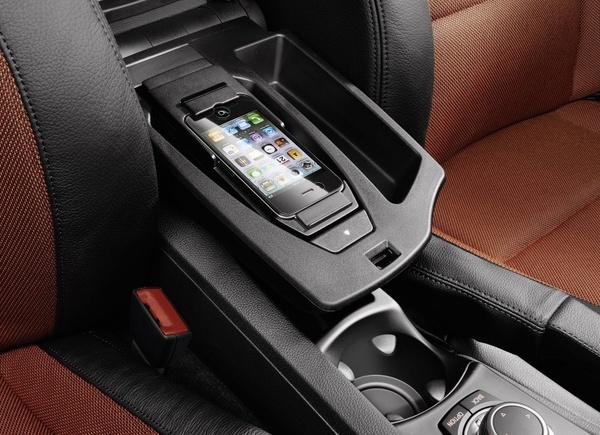 Another impeccable feature of this invention is that when the driver receives a call on his iPhone that is lying on the BMW station (it is an in-car cradle for iPhone), he or she can attend the call instantly by using the switch that is mounted on the steering wheel. After the call ends, the music resumes to where it was interrupted with an inclining volume change till it reaches the set volume intensity. This wonder happens without any touch on to the car dash board. 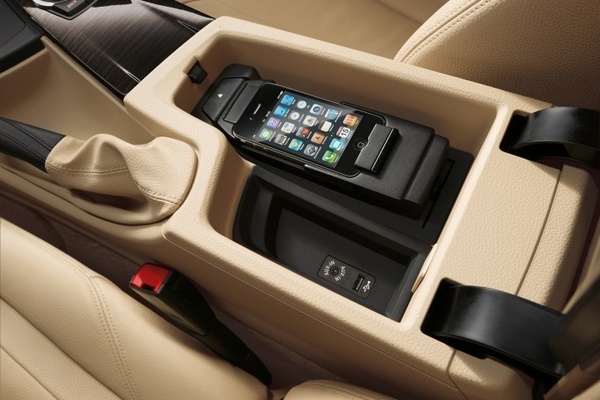 This feature excites any driver who is having his or her friends in the car or is aimlessly driving for fun. 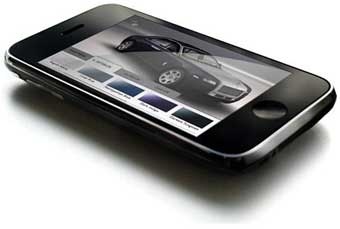 The striking stories are endless with the new app suite of BMW as the iPhone charges as you drive away your favorite car! And if there is any bonus, the antenna strength is enhanced too. It is wisely pointed out by International Business Times that, "these apps are the traditional selling point for both BMW as well as for Apple Inc". So what does the Automobile Giant teach the SMBs about leveraging mobility? SMBs should learn from the strategies of BMW in building intuitive apps for their products or services in a way that will leave their customers with a sense of connectivity that is not desperately forced but is a natural reflex to use the mobility functions within their product/service offers. At Endeavour, we get demands for iPhone application development from clients who are specializing in various business verticals whose target audience are majorly iPhone users. With an intention to reach out to those users who are connected on other mobile platforms like android, Blackberry or Window Phone 7 our in house mobility consultants are capable to develop apps on these platforms too.